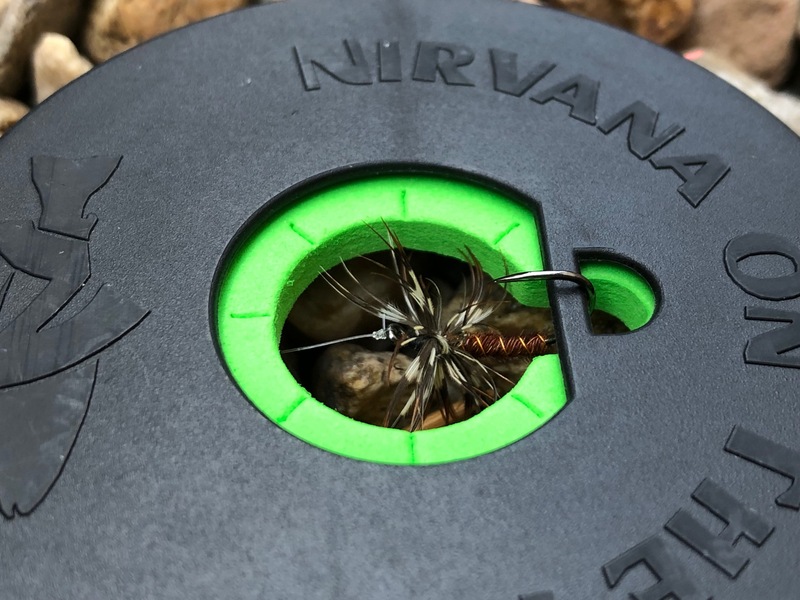 When I first saw the prototypes of the new line spools from NIRVANA On The Fly circulating around Facebook, I didn’t really give them a second thought. They looked exactly like the old Raji Leica I had already been using for years. 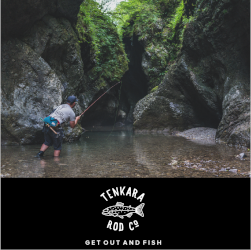 I wasn’t much interested, but when owner Brent Auger offered to send me a couple to try out, I didn’t say no (what kind of gear junkie would I be if I had?). While I didn’t expect much, I was pleasantly surprised. These spools are closely based on the Leica, but with some upgrades, making an already great design even better. 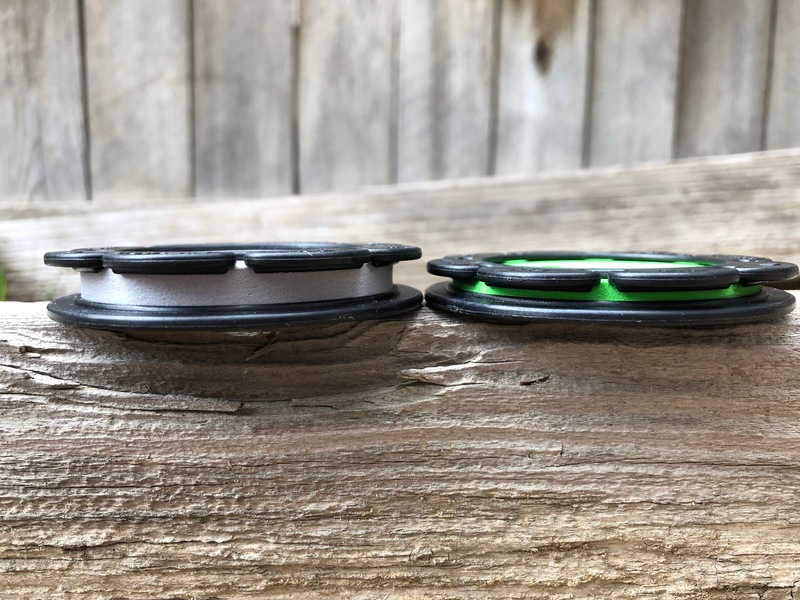 The outer plastic rim sports the familiar notches to secure the end of the line and like the originals, they’re well spaced so that no matter what length the line, there will be a notch in the right place to lock it into without leaving too much or too little of a tag. Also familiar will be the foam inserts inside the rim–just like the Leica. 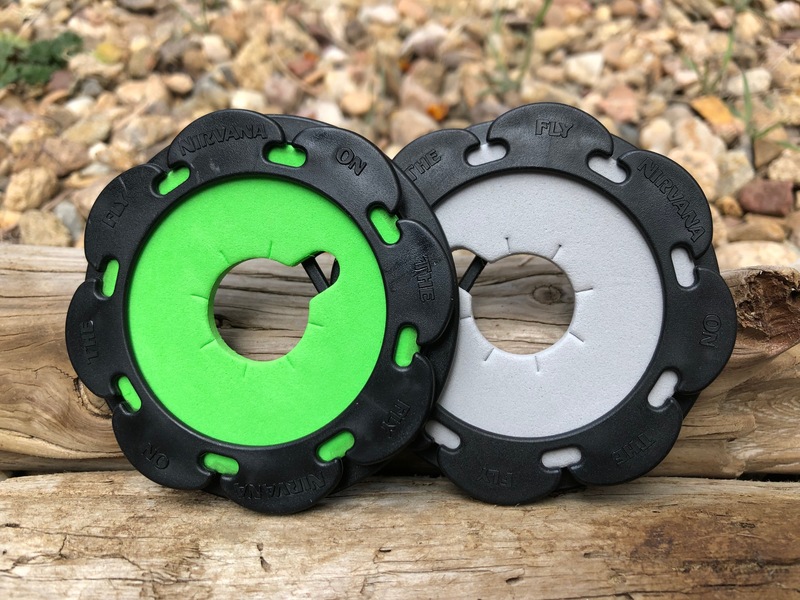 But one difference here is that unlike the once so-called “yellow spools”, these come in a variety of colors, allowing you to color code–a nice touch. The foam also has seven slits to further secure the end of the line by pulling it into the center hole; however, I don’t do this for everyday use since the plastic notches hold so well. I suppose it would be good unravelling insurance if you’re storing lines long term or want to secure them when they’ll be rattling around a lot (for example, in luggage while flying). One key difference to note is that the backside of the NIRVANA spool is a solid plate whereas the Leica had the same notched rim on each side. This might not seem noteworthy, but it was done very intentionally. 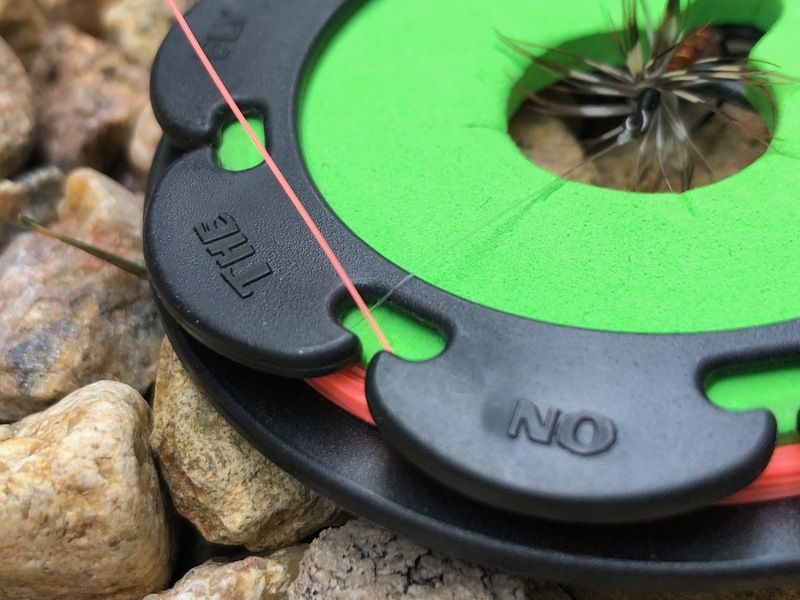 It’s hard to explain to someone who’s not used to using the old design, but occasionally while winding, the line would get caught on a tab on the side of the spool you were holding. Then you’d have to free it before resuming winding (and hopefully you remembered to keep your thumb over the edge to prevent everything from unravelling). The solid, notch-less backplate on the NIRVANA spools eliminates this annoying quirk. 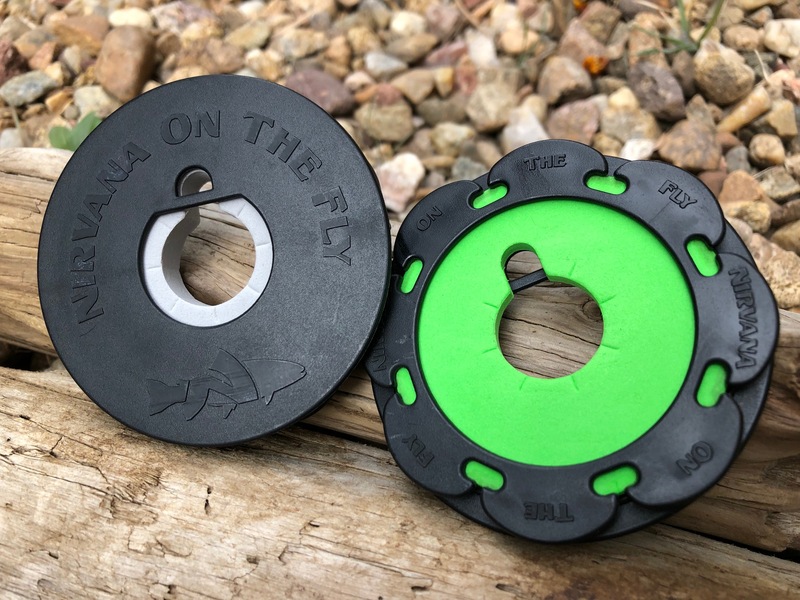 On some versions of the Leica spools, you would secure the fly by piercing it inside the foam edge of the center hole, guide the tippet through one of the notches, and then begin winding the line. This worked, but it tended to smash hackles. Then, they solved this by adding a metal pin where you could hook the fly so that it was suspended and protected by the empty space of the center hole. 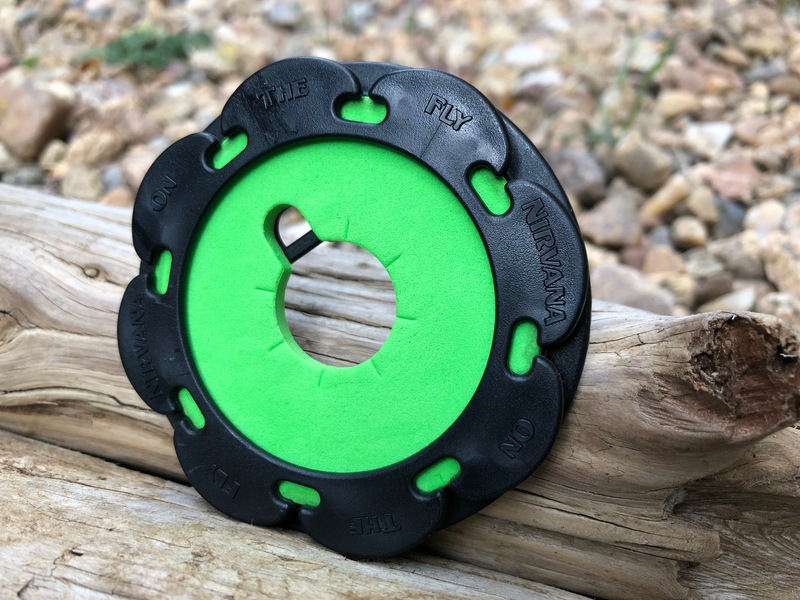 The NIRVANA spools have a similar design, but rather than a metal pin inserted into the foam, the hook holder is molded into the plastic frame. Notice how significantly thinner the 7mm NIRVANA is! The idea is to offer different thickness based on capacity vs. compactness. 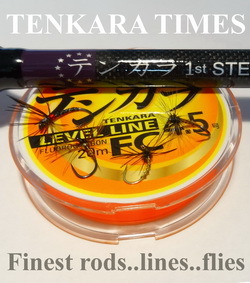 Use the thicker widths for extremely long or thicker lines (like furled lines) and use the slimmer spools for thinner level lines. 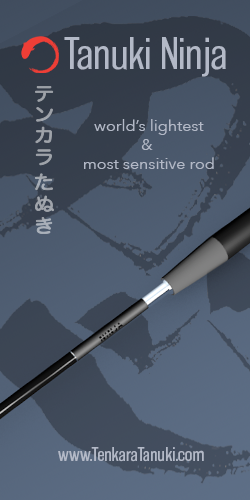 Anyone who likes to be as compact and minimalist as possible will certainly appreciate the ultra-thin 7mm model. But, this left me with a question: would such a thin spool be difficult to wind? That is, would you have some “misfires” while you wrapped where the line wouldn’t catch inside the lip of the spool and slide off? After spooling and unspooling many times trying to test this, my answer is no. Surprisingly, it wound just as easily as its huskier cousins without having to give any special attention. All around, I like these spools. They’re not 100% original, but some of the best designs aren’t. 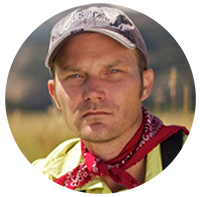 Brent’s company has taken a proven design and has proven it could be improved. It’s kind of like when you’re decorating a room and it looks great the way it is, but then you add just one more thing that ties it all together and makes it perfect. So I say well done! At the time of writing this, the spools are being funded on Kickstarter. 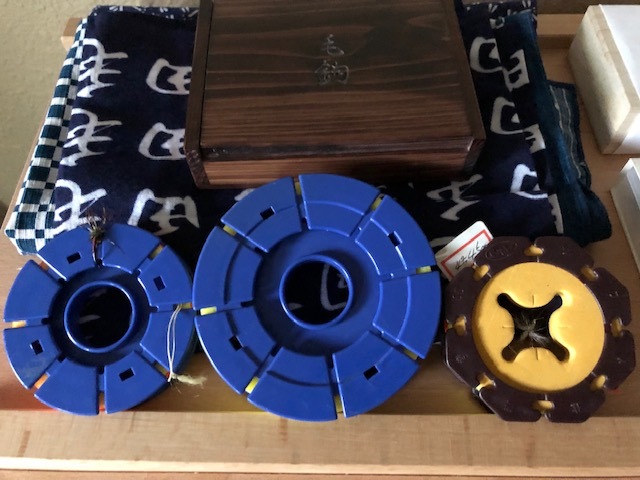 Pledge now to help fund the project, and get a special deal on your set of spools. 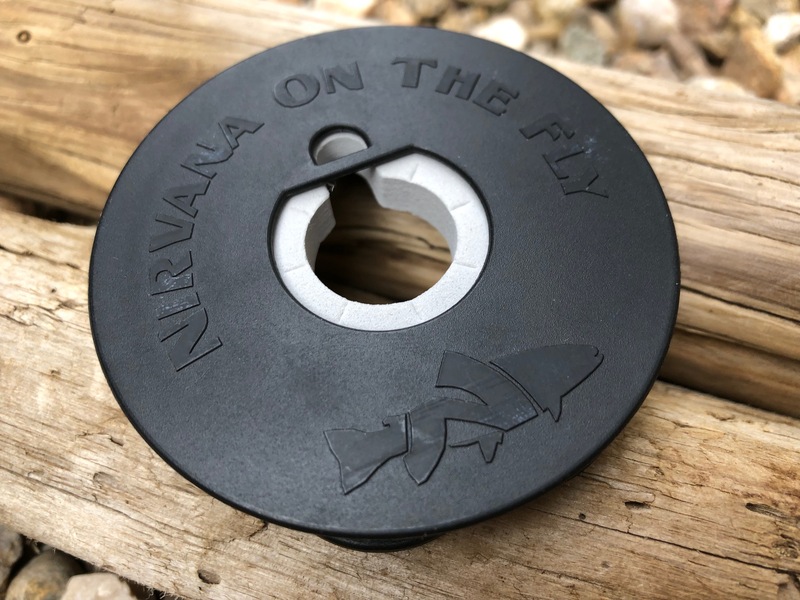 Once the fundraiser is over, I’ll update this post with a link to the permanent product page on NIRVANA on the Fly. Thinner line spools alone don’t interest me very much. Though the different features offered on these line spools are interesting. 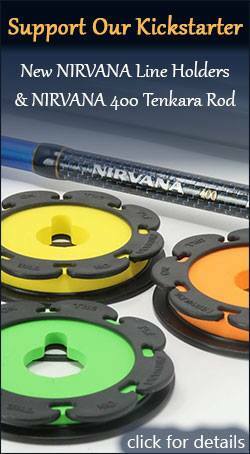 Instead what would motivate me to purchase a Nirvana line spool would be larger diameter spools. 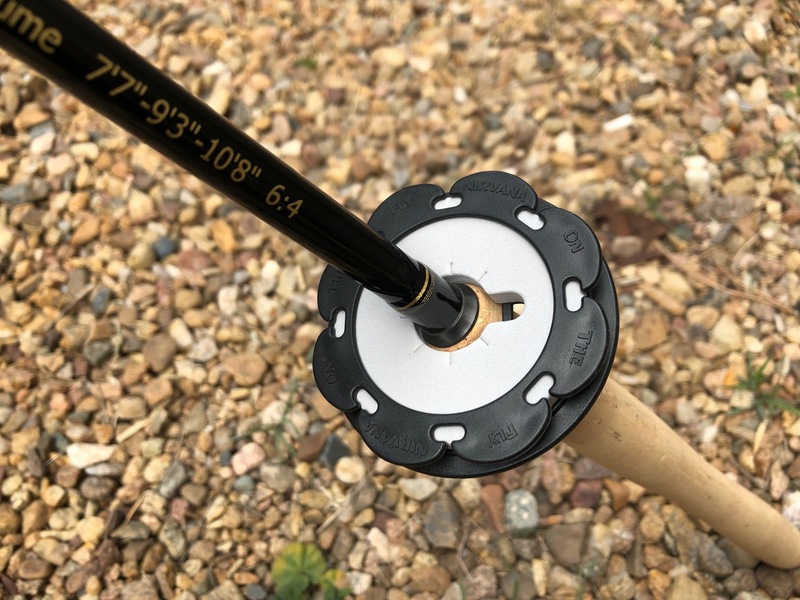 A thinner larger diameter (80 ~ 90mm) line spool would be even better and would likely give me the urge to handover some cash. 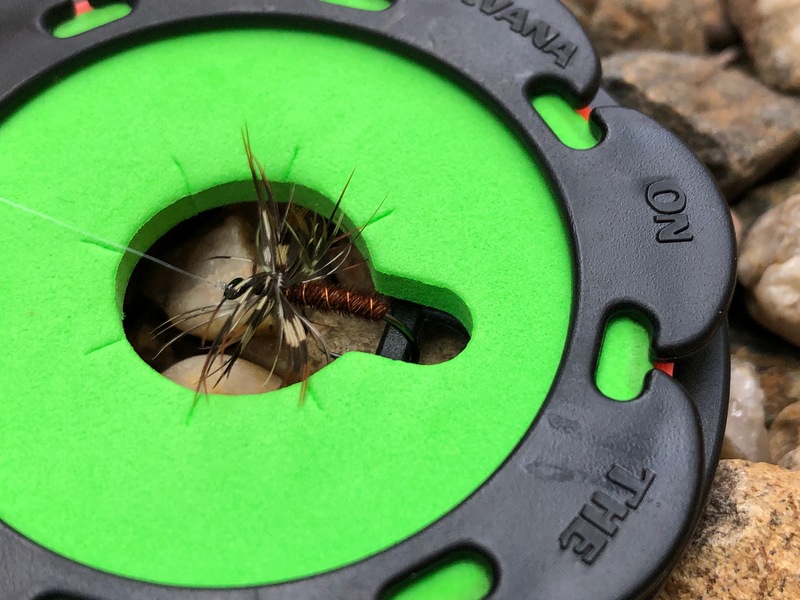 Each turn round the spool wraps on an extra length of line of about 2.5 inches. [ dia, x pi]. 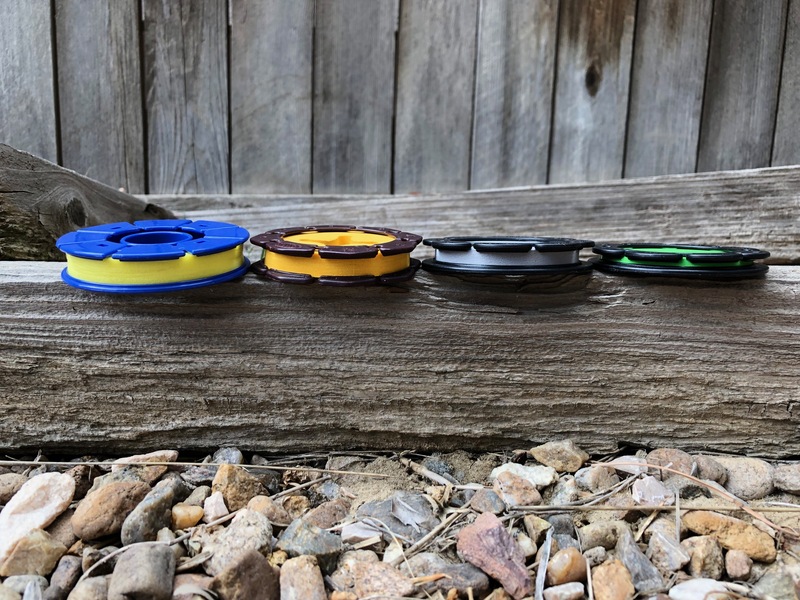 Five wraps stores about an additional foot of line on a 90mm spool vs 70mm spool. Making it a little quicker to store or deploy the line. Mostly it’s quicker storage. Plus the coils from line memory are fewer and slightly more shallow curves too, when using a larger diameter line spool. Making it a bit easier / faster to get a straight line. Or at least what coiling that remains are closer to being straight. However, the amount of coil memory varies with brand of line used. Those benefits exceed any benefit from using smaller diameter spools in my use. 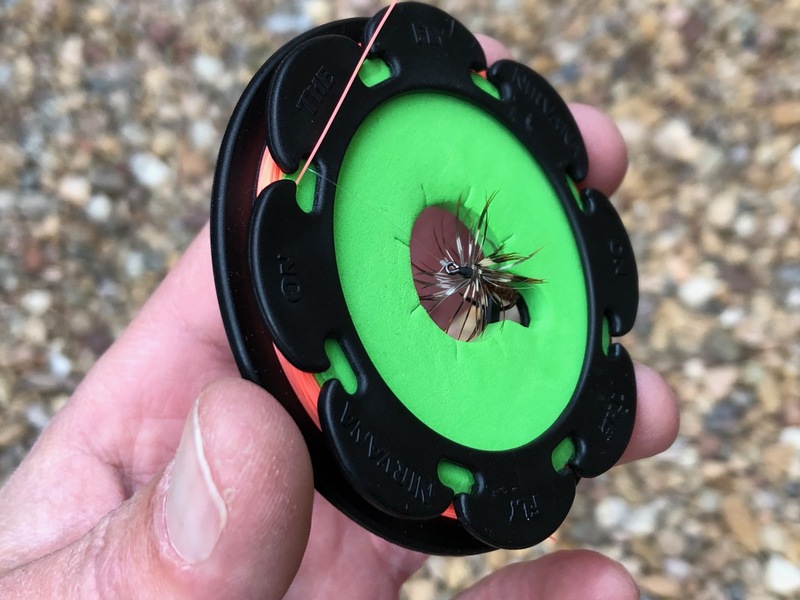 I never carry more than one extra line line spool when on the river anyway. Carrying a larger diameter line spool is no problem for me. And I only carry a very small bag with my extra stuff in it. One small fly box, one spool of tippet, one extra line spool. Everything else needed is attached outside the bag, line cutter, forceps. 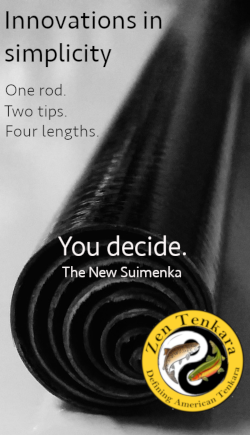 I have some of the larger 90mm spools from Tenkara Bum. See the picture below compared to the Raji Leica and Meiho 70mm. They do wind a little faster, but only by seconds. And they do create less memory–but still some memory meaning I still have to stretch out my lines. So for me there’s not enough convenience or time savings to justify the size. I carry a minimalist chest pack so space is a concern. That’s why I like the 70mm spools or line cards. But space isn’t an issue for you so I can see why you’d like them.